With a flowing layout leading you from a smart private entrance through to a stunning reception room spilling out onto the secluded terrace of your own 54' landscaped garden, this stylish 3 bedroom, 2 bathroom split-level garden flat oozes contemporary flair and invites you to relax and unwind. The open-plan kitchen reception room is sensational, having bi-folding doors which open to incorporate the garden into one fabulous entertaining space. The modern kitchen includes a dining area with French doors onto a central courtyard for al fresco dining. A lovely master bedroom enjoys a walk in wardrobe, en suite shower room and has a wide window flooding the room with natural light. The generous second bedrooms sits on the upper level, whilst bedroom 3 doubles up as a study, itself with French doors onto the courtyard. The landscaped garden is a strong feature of the flat offering different areas to sit and enjoy the sunshine, whilst backing onto a sizeable hidden communal garden. 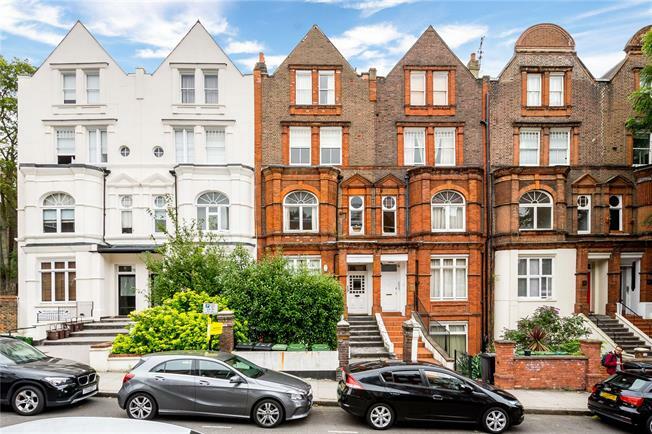 The property enjoys a particularly convenient position, moments from Finchley Road underground station and the comprehensive shopping & leisure facilities available in the local area.